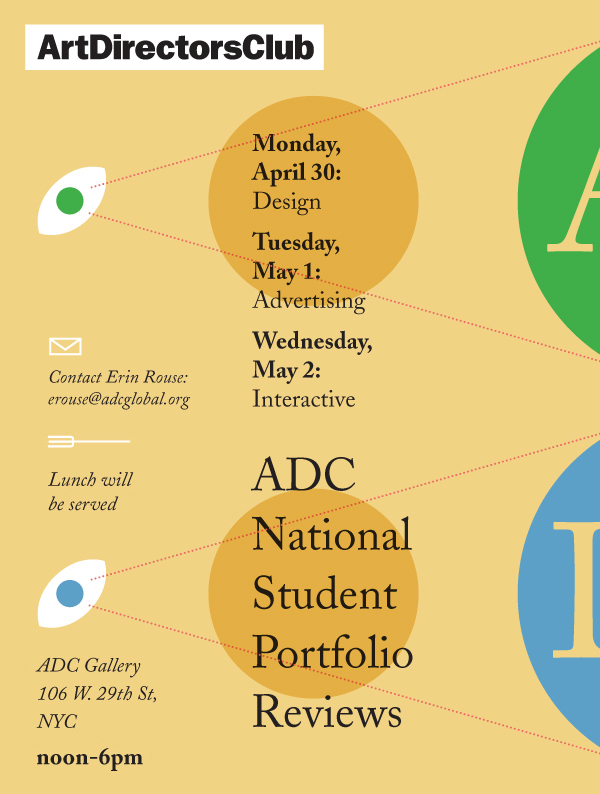 Next Monday, I’m going to the ADC to review design portfolios from all over the country. It’s sure to be humbling. If you’re in New York, and looking to hire potential interns or designers (or just want to the free shaved ice from Peoples Pops) you should register.